Top Russian court has ruled the law on rallies is in line with the constitution, but reminded officials that it must be applied equally to representatives of all political views. 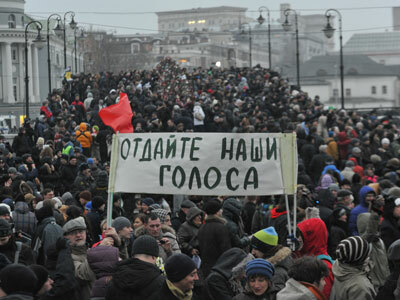 The reaction of the authorities to the organization and carrying out of meetings, rallies, demonstrations and marches must be neutral, at least as it concerns the political views of the organizers and participants of the events, reads the Constitutional Court’s resolution announced on Thursday by its chairman, Valeriy Zorkin. In the same resolution the Constitutional Court reiterated its position that the authorities must enforce a citizens’ right for peaceful assembly. 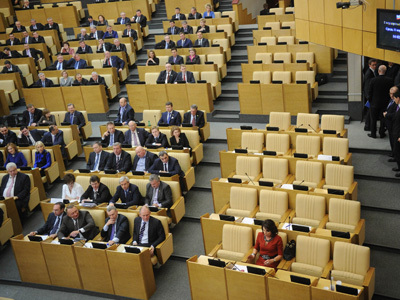 The court resolution answered a request from a group of MPs belonging to the Communist and Fair Russia factions of the Lower House who claimed the new limitations were too tight and the fines for breaking them too high. Another complaint was filed by fringe politician Eduard Limonov who claimed that his rights were breached when authorities denied him the right to register a rally because he had previously caused public unrest and violated the rules of rally organization. The court’s assessment of the recent changes to the law on rallies was positive. In particular, it said the temporary ban on the organizing allies by those who had already broken the rules cannot be considered as repeat punishment. The court resolution says those people can still take part in the events and communicate with other participants and the ban on organization is only valid throughout the term of administrative punishment. The Constitutional Court also ruled that the ban on advertising for non-sanctioned rallies was also in line with the Basic Law. The court’s chairman said that the authorities need time to ensure the rally is held peacefully and properly, and this will only happen when they are notified of such plans in due time. 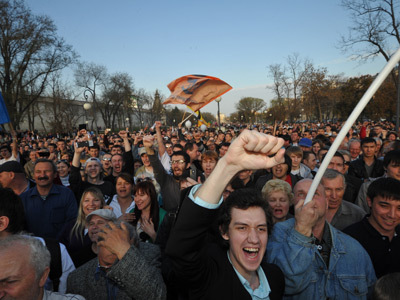 The court ruled however that the minimum fines for violating the law on rallies was disproportionate to Russian citizens’ incomes and ordered the legislative bodies to take measures to lower these sums. The new law on rallies came in force in July 2012. 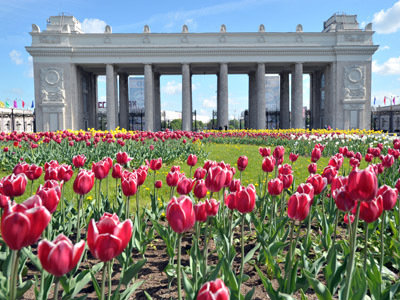 It raised the maximum fine for illegal street protest from 2,000 to 300,000 roubles (about $9,000) for individuals and to from 50,000 to 600,000 roubles ($1300 – $20,000) for officials. The bill has been criticized by the political opposition and the Human Rights Council as an attempt to criminalize the basic constitutional right – the right to free assembly. Advocates of the bill said that their main concern was safety of both the protesters and ordinary citizens and quoted similar laws in European countries, where regulations are often stricter and the punishment for their violation is harsher.